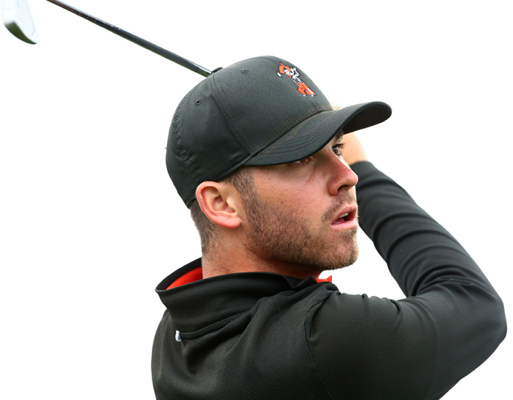 Oklahoma State sophomore golfer Matthew Wolff is on quite a roll. He finished T50 at the Waste Management Phoenix Open while outdriving current Tour bombing sensation Cameron Champ on each of the eight holes they used driver in the first round. However, more impressive is Wolff captured his fourth consecutive NCAA full-field event by shooting a final round 65 to rally from four-shots back. All with a swing that is, uh, quite unique. Golfweek posted that Wolff is planning to take a stab qualifying for the U.S. Open. His plan is to qualify for the U.S. Open as an amateur. If he does, he’ll turn pro immediately after and forgo his final two years of eligibility. GolfChannel’s Ryan Lavner provides a great peek into what makes the OSU Cowboy tick. including his 134mph swing speed, 190+ ball speed and 350-yard drives. The unorthodox swing originally left very Wolff self-conscious especially after a head pro gave a harsh assessment.